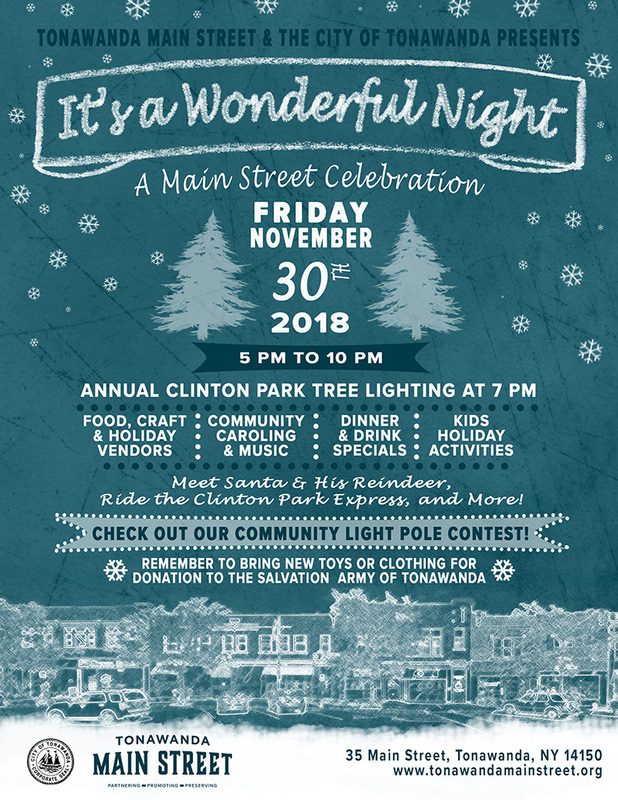 Join us for an evening of fun in downtown Tonawanda with activities like a visit with Santa and his reindeer, a ride on the Clinton Park Express and more! We'll be caroling to Clinton Park for the City's Annual Tree Lighting Ceremony at 7 pm! Be sure to check out our Community Light Pole Contest while you're here! Plus, we will be collecting new toys and clothing for donation to the Salvation Army of Tonawanda. Remember to bring items to donate!